Once upon a time on November 11th, 1620, a ship called the Mayflower dropped anchor at the tip of Cape Cod. The 102 passengers thought they were going to Virginia, but things don’t always turn out as expected. The Pilgrims made the best of a bad situation and built shelters on shore. It was a tough winter. 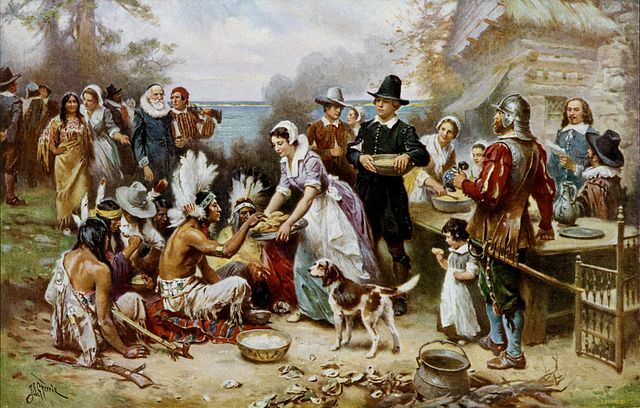 By spring only forty-four Pilgrims were still alive, due mostly to assistance from the local Wampanoag people. The Pilgrims followed Squanto’s advice and planted corn using dried fish for fertilizer. At the end of the growing season, they had a good crop, and invited the Wampanoags to join them for several days of feasting on venison, goose, duck, turkey, fish, and (not surprisingly) cornbread. While I’m sure the Pilgrims were grateful, they didn’t call the event Thanksgiving. And they didn’t hold the event in 1622. Perhaps the harvest was less abundant, or they just didn’t feel like celebrating. Now I, your magistrate do proclaim that all ye Pilgrims, with your wives and ye little ones, do gather at ye meeting house, on ye hill, between the hours of nine and twelve in the daytime on Thursday, November ye 29th, of the year of our Lord one thousand six hundred and twenty-three, and the third year since ye Pilgrims landed on ye Plymouth Rock, there to listen to ye Pastor and render Thanksgiving to ye Almighty God for all his blessings. 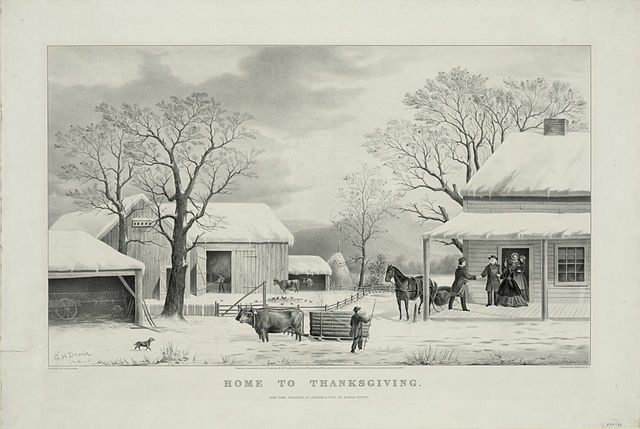 Even so, Thanksgiving didn’t have a place on the Calendar of Official Celebrations. In 1863 President Lincoln issued a proclamation setting Thanksgiving as a commemorative day on the last Thursday of November. As they digested their meals, Americans began to realize it was time to prepare for Christmas. In 1939, the last day of November fell on the exact last Thursday of the month. Disaster! Fewer shopping days could slow economic recovery. President Franklin D. Roosevelt to the rescue. A new proclamation moved Thanksgiving to the second to last Thursday in November. Not a complete success. Thirty-two states accepted Roosevelt’s opinion; sixteen states didn’t. Congress stepped in. Thank goodness! 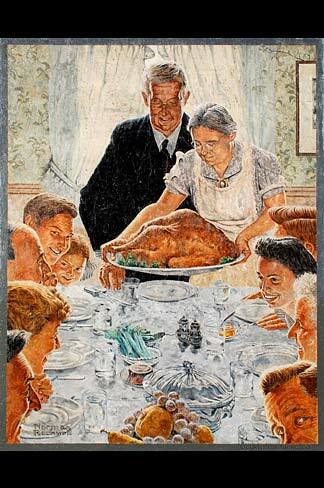 On October 6, 1941, the House passed a joint resolution declaring the last Thursday of November to be Thanksgiving. The Senate amended the resolution to make the holiday the fourth Thursday, since sometimes November has five Thursdays. Who knew? The House went along, and President Roosevelt signed the bill into law on December 26, 1941 – which meant it would go into effect in 1942. Mural Replica of Freedom from Want. Gary Halvorson. Oregon State Archives. Creative Attribution. Wikimedia Commons. The U.S. entered World War II on December 8, 1941. In 1943 Norman Rockwell produced a series of four paintings depicting the Four Freedoms that defined the American war effort. 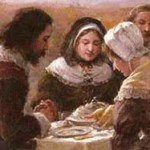 The above picture entitled Freedom From Want may be the most universally recognized symbol of Thanksgiving. Three generations gathered around a table with smiles on their faces. Americans like the concept of “Going Home” for Thanksgiving — a custom left over from a time when young families in growing cities could still go home to the family farm. Currier & Ives popularized the fantasy in a post card. And Lydia Marie Child, the famous feminist, presented a poem encapsulating the moment when she celebrated the day at her grandparents’ house. Whether you’re traveling or hosting, eating turkey or tofu, have a wonderful day. And remember to give thanks. Featured Image: Three Women by Jennie August Brownscombe, 1914. Public Domain. Wikimedia Commons. Great history and story which I learned a lot! Loved it! Have a Blessed, Happy, Happy, Gobble Gobble Thanksgiving!!! I enjoyed perusing the history of Thanksgving, Sandra. I believe the Pilgrims called that first feast a Harvest Celebration. 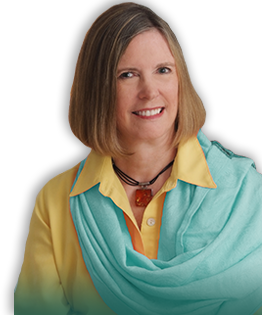 I also heard that after surviving starvation some of the celebrants called it “Squanto’s Square meal.” This recollection impelled me to delve into Squanto part, which I have done in my blog. I believe I turned up some hitherto unknown details which must be added to the history books.